Meet John. There's a question which has been eating into his sleep time lately: “What's the best way to back up/backup my peta-scale Isilon NAS?”. John's been trying to run this backup for quite some time and always comes up against the same problem: the backup window is too short and full backups do not complete correctly. 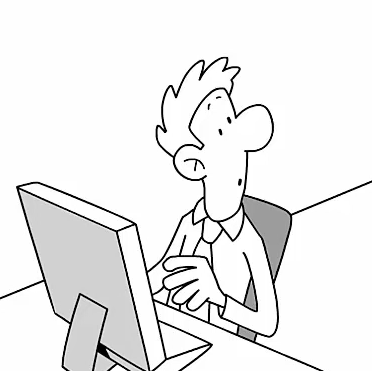 Knowing that there is no life insurance policy for his critical data is weighing heavily on his shoulders. John is in charge of protecting his company's large scale-out NAS. For the last 10 years he has backed up these growing volumes of data and knows where the pain points are. On the strength of his experience, he is perfectly positioned to define an ideal petabyte Isilon NAS solution. Leverage snapshots to rapidly list all changed files and stop long and painful scans of the entire file system which can last for days, making it impossible to run daily incremental or weekly full backups. Atempo rapidly builds lists of new, changed and deleted files, leveraging snapshots or, concerning the Isilon NAS, the advanced CLI “isi_changelist” or the Changelist API of OneFS 8.0. Optimize scanning time and start actual data movement early on so it does not spend hours if not days scanning before moving the first byte. Our solutions start actual data movement early and balance the files and the load intelligently between multiple nodes (this way, having billions of small files or some very large files is not a show stopper). Parallelize data movement across multiple heads/nodes on the Isilon NAS filer. Ideally, it also offers control over which node to use and the period to start the backup. In this way, production is not impacted. Provide faster restore than with traditional NDMP technology and not be limited to tape-only backups. Open full access to object storage and cloud targets. Faultlessly manage the protection of millions or even billions of small files and also the backup of very large files (>500 GB) by multi-threading file batches and optimizing I/Os on the NAS. It's important to be able to combine all the above to make a fast backup solution that delivers efficient data protection that fits customers constraints for incremental and total backup windows. Leveraging snapshots is not enough, good backup must also identify the files deleted on the NAS so the full backup image that is restored is accurate. It's time to abandon the Full/Incremental backup cycles. From now on, it's incremental only! John may also be surprised to learn that there is a solution which can deliver a full restore by doing only incremental backups –without performing new full backups. This approach combines the capacities of a file system or an object storage and the native capacity of our solution to limit the number of versions backed up for each object. Add a certain backup know-how (something we have plenty of here at Atempo!). So back to John and his question and his peace of mind.... 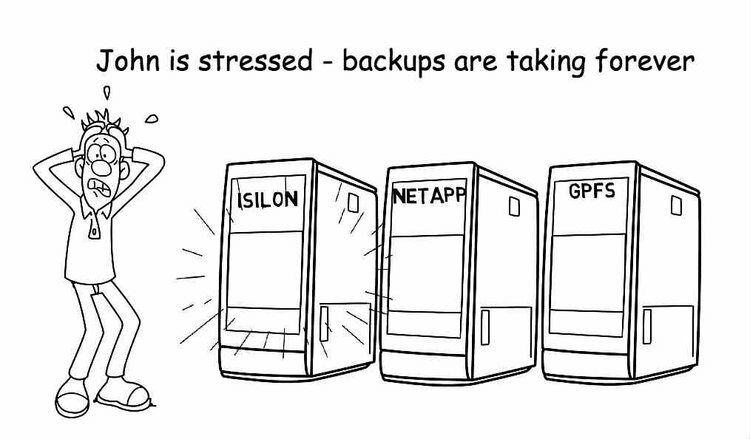 Yes, we can reliably and rapidly backup large scale Isilon NAS to, for example EMC's Elastic Cloud Storage (ECS) or to another disk-based storage and/or to tape. Let's wager that in his now-restful sleep, John can now dream of incremental backups to infinity (and beyond!). 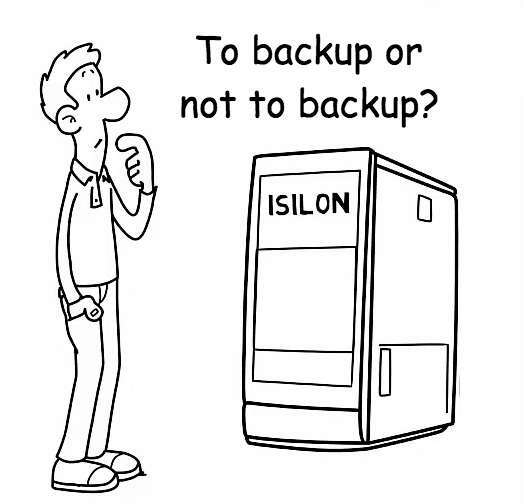 Rather than a thousand and one words, you might want to take a look at what our customer UNIL (University of Lausanne) has to say about using our backup solution to protect their replicated Isilon NAS.